The rural community of Glenns Ferry is located in South Central Idaho in Elmore County. This beautiful city is centrally located along the I-84 corridor, halfway between Boise and Twin Falls, Idaho. 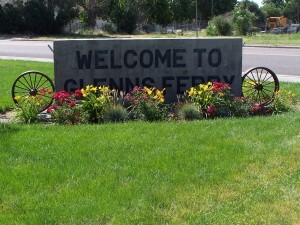 The city of Glenns Ferry lies along the Snake River and is surrounded by fertile fields. The main source of income is agriculture and agriculture related materials. Agriculture related industry lies alongside the UP tracks through the center of town, and I-84 can be accessed both on the east and west ends of town. There are several commercial properties located in town, and over 75 acres in heavy industrial property along the UP rail. More than half of this property is undeveloped and lies along the UP rail line. There are 5 rail spurs, switched on both ends, remaining from the time when Glenns Ferry was a major rail town on the UP line. The longer legs of the diesel locomotives made the stops and switching unnecessary, so many of these lines remain unused today. The potential for business or industrial use of the rail is tremendous. 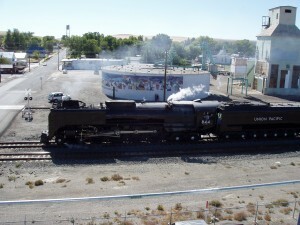 The old steam engine came through Glenns Ferry in Sept. of 2010, and stopped here briefly. Farms in Elmore County produce a wide variety of crops such as wine vineyards, timothy and alfalfa hay, corn, sugar beets, onions, peppers, and of course, Idaho potatoes. There also has been a significant increase in organic produce such as melons and pumpkins. Elmore County is also home to several large dairies. Glenns Ferry and its surrounding fields supply a large amount of this produce. An experienced workforce can be found within city limits, with even more experienced workers within a short commuting distance from Mountain Home (a short 20 minute drive), or from Gooding, Jerome, and Twin Falls. The population of Glenns Ferry is just shy of 1500, with Elmore County reporting approximately 27,000 residents. 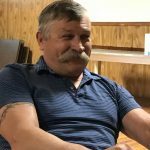 Glenns Ferry offers affordable housing, a great school, golf course, swimming pool, airport, senior citizen center, museum, library, a number of historic buildings, the Three Island State Park and Oregon Trail Interpretive Center, and the Elmore County Fairgrounds. Glenns Ferry also is a fantastic place to enjoy the beautiful outdoors! We have numerous campgrounds, access to the river by boat launches, excellent fishing, duck hunting, and some of the largest trophy animals all in and around this area. Access to snowmobiling, skiing, hiking, and other mountain activities is just a short drive from town. The Bennett Mountain range offers beautiful views of Idaho and is well known for its elk and mule deer trophy hunts. 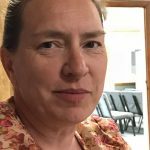 Economic development for Glenns Ferry and the rural areas of Elmore County is overseen by the Southwest Idaho Rural Development board , which is a board made up of city and county officials, business owners, and utility representatives. An Economic Development Professional takes care of the daily economic growth tasks and aids with the attraction, retention, and development of businesses in the area. 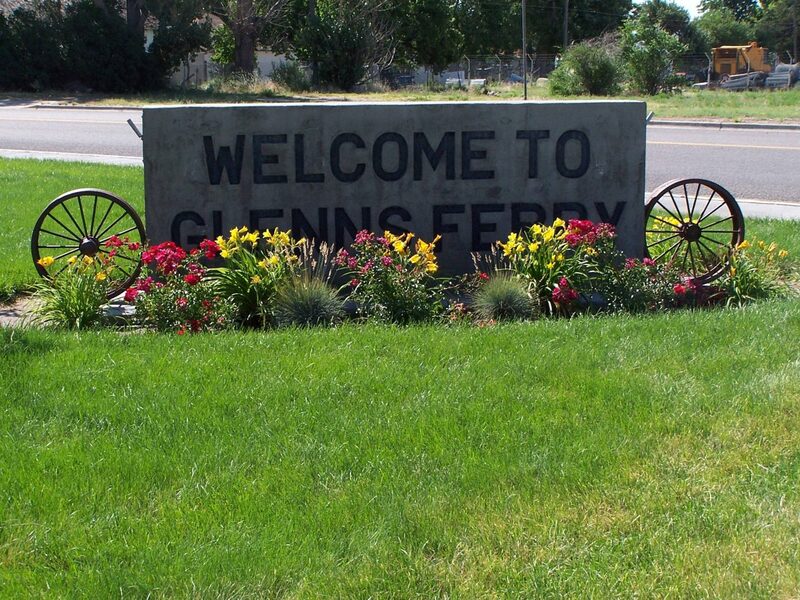 We WELCOME your interest in our town, and invite you to stop in and see for yourself the potential that Glenns Ferry holds. Have no doubt, our county and region are growing due to the expansion of both Twin Falls and Boise as people search for the scenic beauty and the peace of living in Idaho!